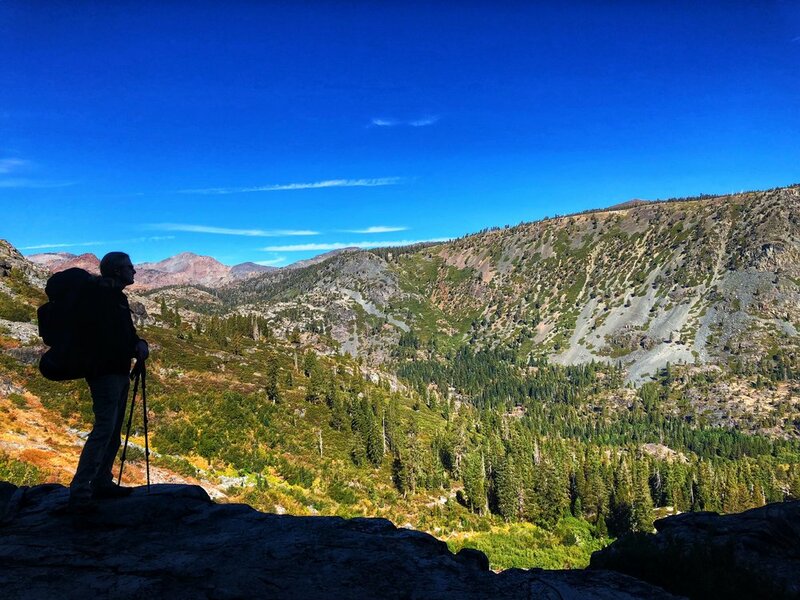 This 12 mile loop starts at the Fallen Leaf Lake Tamarack Trail Head and intersects with the Pacific Crest Trail. 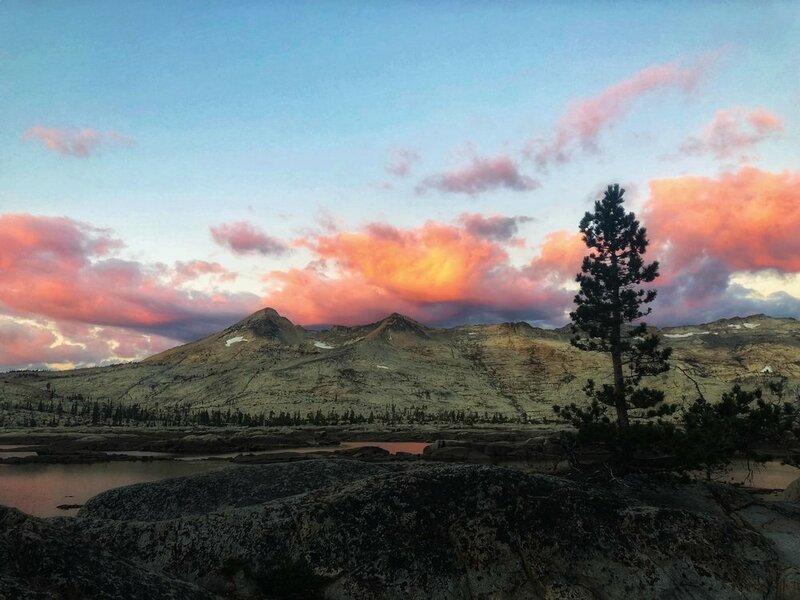 Follow the PCT past Lake Aloha, Heather Lake and Susie Lake. Take the Glen Alpine Trail back to Fallen Leaf. Normally, we are fine with 45% inclines but with backpacks that can exceed 50lbs, it can be quite a challenge! Here we are at the mid point of the switchbacks. This is not a maintained trail so be careful! Heather and I were pretty surprised to see so many people on this trail. I guess it makes sense considering the popularity of the PCT. Yet it appeared many of them were just day hikers. You can tell who has been on the trail for a while. we have set up camp and now checking out the area. We walked an additional 2 miles in exploration and while the area is nice, it is not our favorite spot in Desolation. Heather used her polarized sunglasses as a lens to capture this cool sundog. It hung around for quite some time and I am glad she got a picture. We always prepare for unexpected weather and good thing! We were besieged by freezing wind and hail for the first hour or so of our hike out. The beautiful red sure quickly grew dark. There was no rain or foul weather on the forecast but we were prepared. It most certainly was cold and rainy the first part of the hike out! Heather Lake is a typical Desolation water feature with some islands, steep embankments and surrounded by rock sentinels. If you follow the only outlet from Susie Lake you will be rewarded with a view of the valley floor southwest of Fallen Leaf Lake. There is not a marked trail and it is very loose rock but if you are careful, its worth the view!